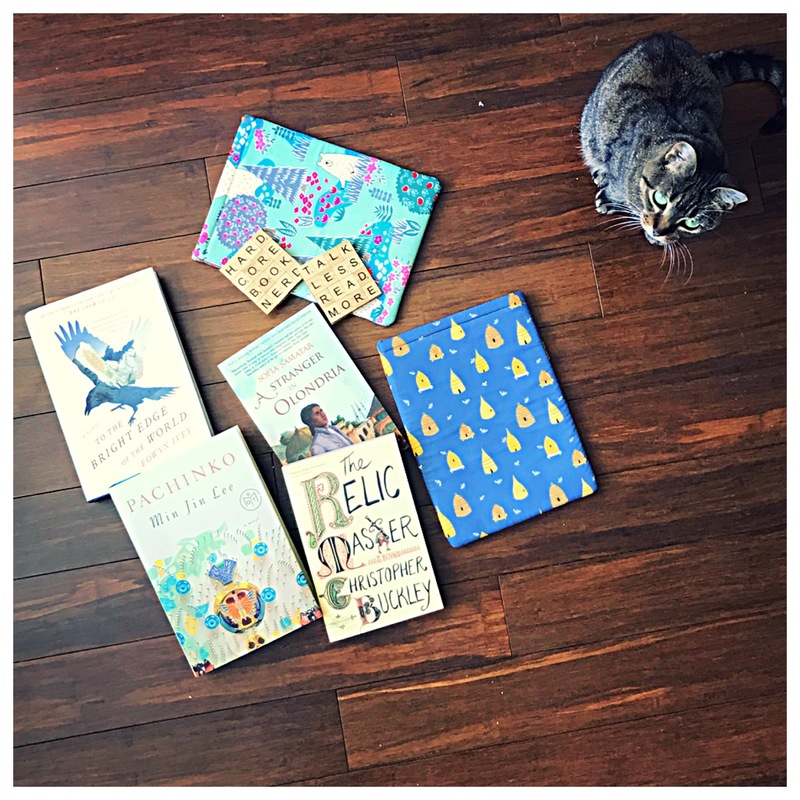 Today begins a three-day weekend full of readathons– the Spring Cleaning Readathon on Litsy (April 28-29) and the Dewey 24-Hour Readathon (April 29-30). Read as much as you can on your TBR and in 24 hours, respectively. That 24-hour overlap is going to feel like the mother of all multi-tasking. I can’t wait. It feels like I’ve been planning a weekend away (which in a way, it is: away from people, from sanity, from the green 3-dimensional world). Except it’s even better than planning a weekend away, because I still get to order from my favorite takeout places and pass out in my own bed. I’ve been making (and unmaking, and editing, and reorganizing) reading lists, choosing snacks, and talking with other people about our itineraries, reading plans, and strategies all week. Why is it so exciting, you ask? Speaking of housework: It’s easy to get distracted or to de-prioritize reading. Reading is so much fun that I often feel a little guilty about doing it, even though it’s important for my job, my writing, and my sanity. However, this weekend, there’s no guilt! I get to clear my schedule just by saying “Sorry, I can’t, I have plans– READING PLANS.” And then if people ask me, I get to tell them all about it! And maybe they’ll join in! Reading is usually a solitary activity, but when I look back at my most memorable reading experiences, they involve other people: the poetry book club we started in graduate school, a particularly contentious discussion of racism in the Lord of the Rings, reading aloud to my grandmother… Readathons work best for me when I have bookish friends doing them along with me. We can encourage each other, commiserate about the necessary evil of sleep, and share beautiful photos and reviews of what we’re reading. And if this looks like an insane conglomeration of books– well, then you haven’t even seen my Kindle. Book possibilities on Kindle include but are not limited to The Sport of Kings (for Book Riot’s Read Harder challenge: a book about sports! ), Red Rising, Still Life by Louise Penny (one day I’ll find a murder mystery series I like), and Deathless (the Tor Book Club’s free book for April– Russian folklore yes please!). I also have plans to finish The Historian (literally one of the best books I’ve read so far this year– unless the ending crashes and burns, which I’ve heard is a possibility). I’ve got a lot of plans. And a lot of coffee. Wish me luck!